The Big Game is coming which means it’s time to prepare for a super party! You want your family and guests to consider your food a touchdown. That’s where we can help. From delicious recipes to grocery delivery; we have everything to make your super party a success! Don’t forget to check out our weekly ad to see the big savings. 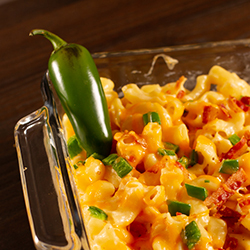 Delicious home made mac, grilled cheese dippers, jalapeno bites…bring your A-game with some of these delectable recipes. Click here to get started. Don’t have time to get out and get groceries? Let us do the shopping for you! With online shopping we can deliver the groceries right to your door. Click here to learn more.